Building houses are one of the most creative aspects of "The Sims" video game. For many new players, however, downloading premade houses from the many available sources is far easier than creating one from scratch. Download a house you want to use in your game to a folder you will remember or to your desktop. If the house file is in a .zip or .rar format, unzip it in an unzipping program such as WinZip or right-click the file and select Extract All. Extract the house to maxis\the sims\userdata\houses\. If you have an expansion pack, choose the neighborhood's user data folder in which you want to play the game. 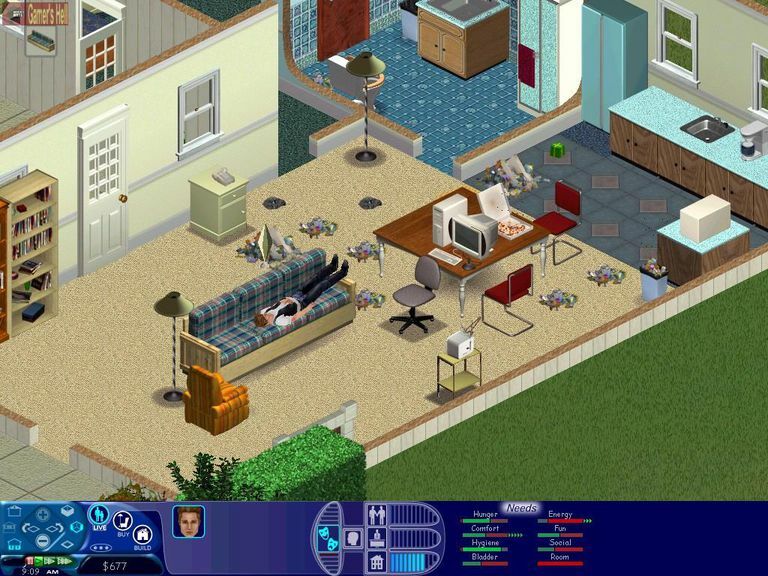 For example, Neighborhood 3 would be stored in \the sims\userdata3\houses\. If the house is not zipped, copy and paste the file into the neighborhood house folder in which you want to play the house. Next time you open the neighborhood, the house you downloaded will appear. Create a folder in which to keep all your Sims-related downloads. If you have a lot of files, keep them organized—by site or room, for example. The house file replaces the house already on the lot. If you want to keep the previous house, make sure to back up before installing the new house. Always back up your user data folders before installing new houses, families, and objects into your game. You can also add interest to your gaming experience by using some of the cheat codes available for "The Sims" game.